Former Justice Minister Chris Said was elected General Secretary of the Nationalist Party by the party's executive this evening. He won 58 votes out of a total of 62 cast. Three people voted against and one vote was invalid. Dr Said succeeds Paul Borg Olivier. He was uncontested but a vote was still needed. The members of the executive voted in the party officials, with only the posts of treasurer and international secretary being contested. Ann Fenech, also uncontested, was elected President of the Executive, replacing Marthese Portelli. In her case, 63 people cast their vote: 58 in favour, four against and one invalid vote. Karol Aquilina was re-elected as President of the Administrative Council with 49 votes in favour, 10 against and three invalid. He too was uncontested. Alex Perici Calascione was elected treasurer with 40 out of 62 votes. The election was also contested by Hermann Schiavone who got 22 votes. Dr Perici Calascione succeeds Boris Scerri. Trevor Degiorgio was elected international secretary with 38 votes, replacing John Bonello. 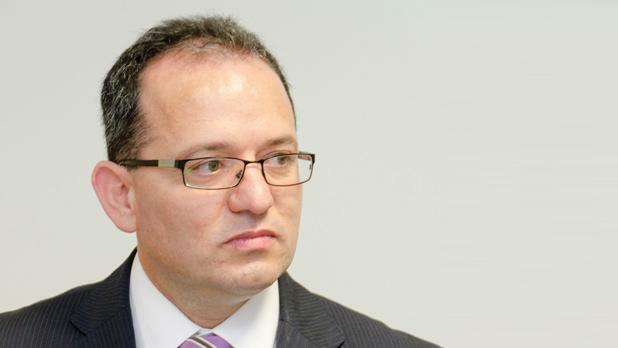 Victor Scerri, a former PN council president, won 23 votes. Jean Pierre Debono was re-elected assistant general secretary with 48 votes in favour, 11 against and two invalid. 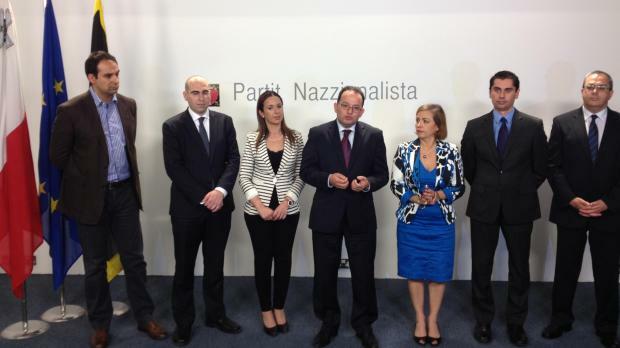 The PN officials - from left: Trevor Degiorgio, Karol Aquilina, Paula Mifsud Bonnici, president of the PN Council, Chris Said, Ann Fenech, Jean-Pierre Debono and Alex Perici Calascione.